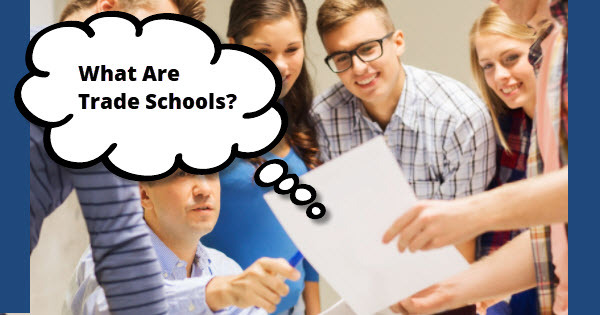 So… What are trade schools? A trade school, which is sometimes referred to as a vocational training institute is a place where students can get a certification for specific skills relating to real world jobs and vocational skills. It is not different from college where students learn in general and focus more on understanding the theory of the discipline before moving towards a master’s degree that offers more practical experience. Specifically, vocational schools teach you less theory and enable you professionally by making you follow a regiment of practical application. 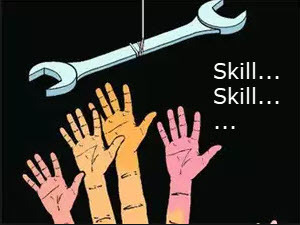 Specific skills are acquired in vocational training centers and therefore students only specialize in specific skills such as electrical and plumbing professions. Examples of other skills include carpentry, tailoring, mechanics amongst many others. It is a good option for students who are not willing to spend years in school before realizing their careers. The trade school system is a more affordable system of acquiring skills compared to all traditional means of education. Traveling to a different city for college or simply commuting within the city from college to home and back is more time consuming and financially demanding. When an individual goes to college, they will spend at least four years in school. There are other alternatives, like going through school to get a certificate that takes less time without a degree, here are the top 6-months trade school programs in the US. That means that the student loans will pile up, accommodation costs will pile along and the worst part is that students in their youth will get to miss family time. A person who goes to a vocational training center spends at most two years to acquire their desired skills, with options making it possible to spend even less. 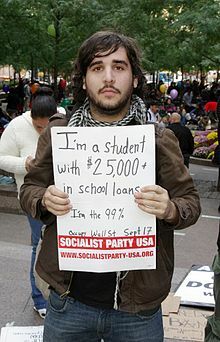 Normally, when students come out of school, they are required to get jobs and then start paying their student loans. The loans are usually given to students to help them go through school. A student who spends four years in school is likely to pay more money for student loans compared to a student who spent two years in school. This can definitely be a deciding factor for people who wish to pursue any form of... ...academic and professional qualification with in financial bounds. An individual who attends trade school has more chances of getting a job as compared to an individual who has attended college. This is because products of a vocational training center have more specific kind of training and therefore allow the student to come out a professional through have more practical experience as well as exposure in school. College students on the other hand spend time studying in general and therefore don’t have the much needed practical experience to get to work. This requires them to start off with an internship and since that is the first step towards a career, that needs a lot of thought. It goes without saying that students who have attended trade school secure jobs faster than students who have attended college. In a case where job interviews are given, the employers value an individual who has more experience. They value an individual who they believe is more experienced and more skilled professionally because that means the professionalism that requires time and experience is already available with that particular candidate. A company will only select a fresh college graduate in the case they require someone with that specific qualification at that time, otherwise high-end jobs with reputable firms require a bachelor’s followed by a master’s degree. An individual who has attended trade school is equipped with the proper skills and is more experienced. A person who has attended college has less experience because they spent their years in college concentrating theoretical material. It makes more sense to take in the individual who spent their time in school sharpening on a specific skill. There are individuals who never wish to attend college and the number of reasons why people avoid college are just as many. Some of them have separation issues. They do not wish to stay away from their families for long. Some people don’t get a chance to go to college because of poor grades. Poor grades are usually a set back because pass marks must be reached before one is allowed to join the college system. 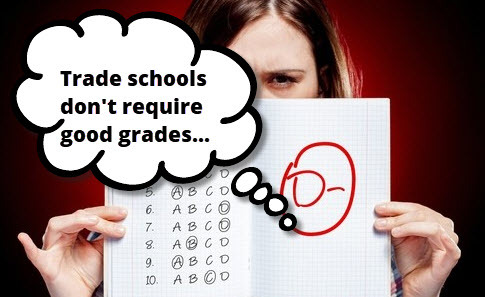 Trade schools on the other hand do not need good grades to enroll an individual. The training center concentrates mainly on talent and skills. It can prove a better option for people to attend vocational training centers because it gives them a chance to better themselves. There are no educational skills needed, just technical skills and that give you leverage to support yourself financially before moving on to something bigger in terms of your career. Great article about trade schools, I was always confused about the term and now I feel like I understand it much better.